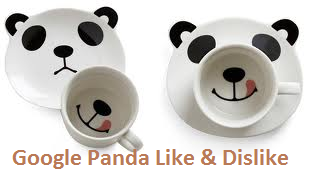 Panda 4.1 Recoery : Top 3 Mistakes You Must Check! After 4.0 Panda As everyone knows, the Google Panda 4.1 launched date 29 September last week. Few reported that they lost their daily traffic after this update even the site is full of content and not sure where they did mistake. I analysis my friends site, who have a education blog, active from past 5yr. He refer his content work to fresher freelancer who are unknown to write about study martial, which my friend providing from last few years. 1. Try to write your content or subject. Because the unknown person can only write the total word you assign them. 2. OR Hire Industry based writer to write what is useful to you and your audience. See, if you write yourself, you know better your service, industry, and latest happening in the world. He posted few post on exam which was held on or declared on 2012/13 still in the site. That's why the bounce rate of site increased. Few old page are live in xml. 1. No one time content - Don't think the one time content live on site can help you every time. 2. Check your 404 pages and move them with 301. 3. Check xml sitemap. Better to write manual xml and update it. I check he have all 5start in all the listings? I check manually and saw that the user did the reviews, they are not real. Respect your Competitor - If you new to industry and writing about the article/content, don't forget to ad your competitor as a reference link. It can help you lot. 4.0 Google Panda Come at Your Door! Yesterday i check from website traffic from Feb to 30,Sep. And after viewing the dashboard history. I say WOW.!! Because all the google panda update didn't harm my site. That mean i am working on method, which Google likes. I saw good visits from last 2 month ( Aug and Sep). So i am not sure the growth of my site is because of Google Panda 4.1 or Normal. Friends! Another Big Changes! Google Panda 4.1 Updated..OOps! 2 ) The update for small sites. Here is a list of Big Loser in Panda 4.1 Update - Most of the games, music and few social media sites loss their daily traffic. Make sure to post good content. Content words should be more than 400 words. Only useful pages need to create. Please share your website status or your personal opinion on this update.